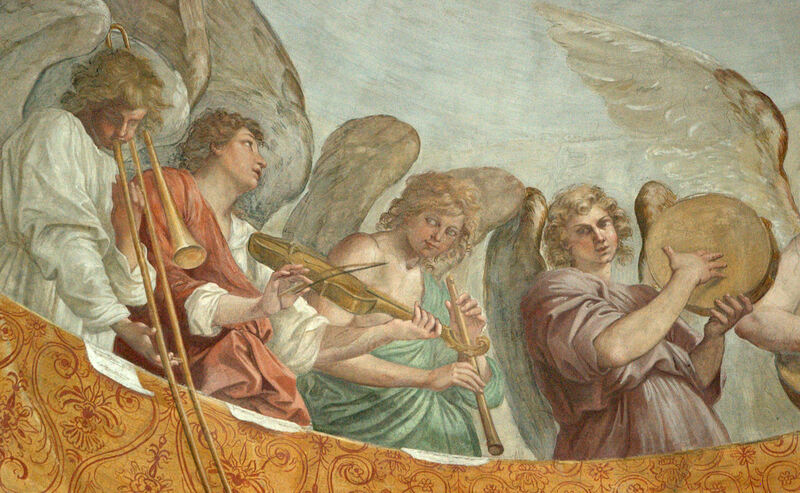 Yesterday I added this charming painting to the Trombone History Timeline (19th century, 2nd half). The museum’s website offers the broad designation of “19th century.” It was my own estimate that it probably comes from the late part of that century. 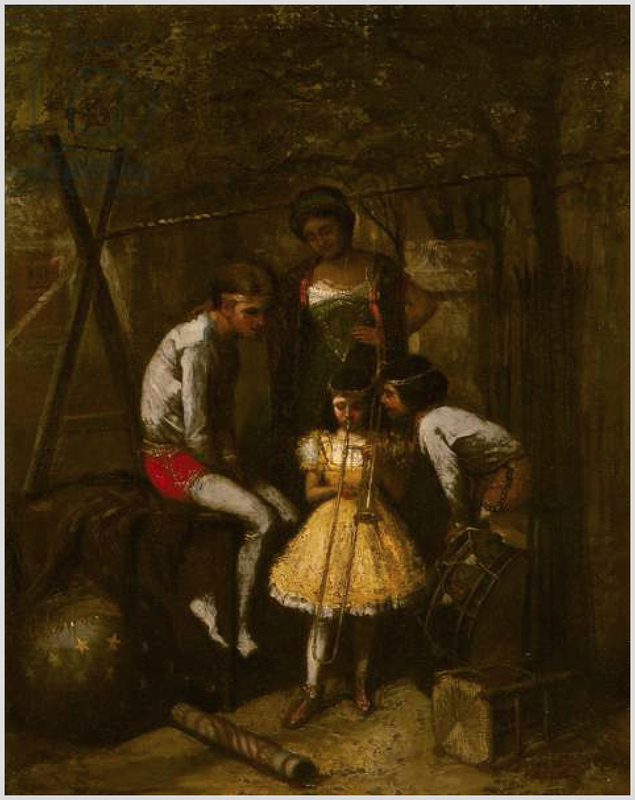 Late 1800s—France: A painting by an unknown artist depicts a young girl playing trombone with what appears to be a circus troupe (see below image; public domain) (Heckscher Museum of Art).